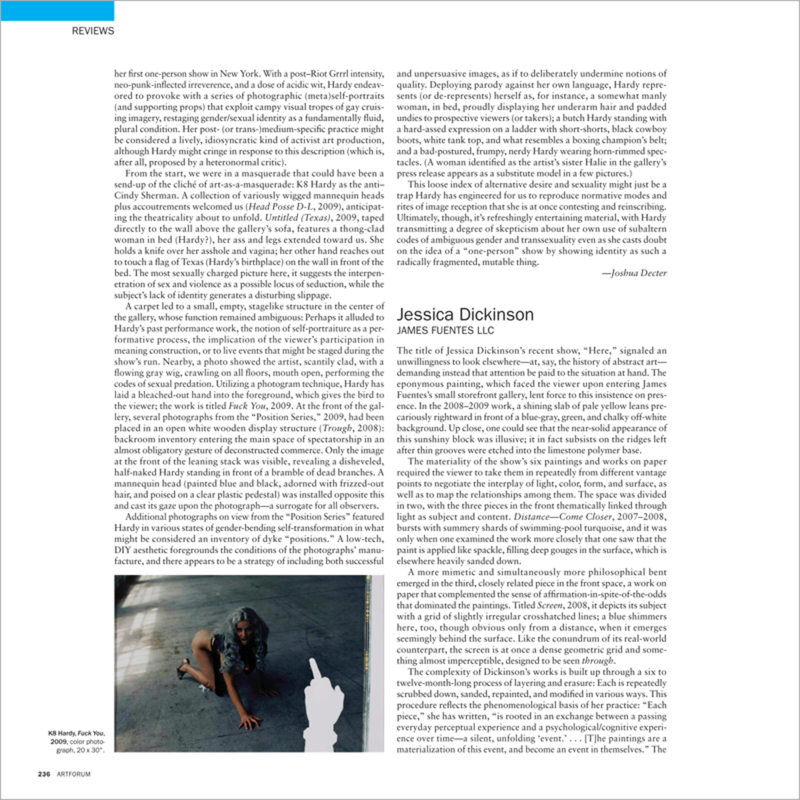 The title of Jessica Dickinson’s recent show, “Here,” signaled an unwillingness to look elsewhere—at, say, the history of abstract art—demanding instead that attention be paid to the situation at hand. The eponymous painting, which faced the viewer upon entering James Fuentes’s small storefront gallery, lent force to this insistence on presence. In the 2008–2009 work, a shining slab of pale yellow leans precariously rightward in front of a blue-gray, green, and chalky off-white background. Up close, one could see that the near-solid appearance of this sunshiny block was illusive; it in fact subsists on the ridges left after thin grooves were etched into the limestone polymer base.